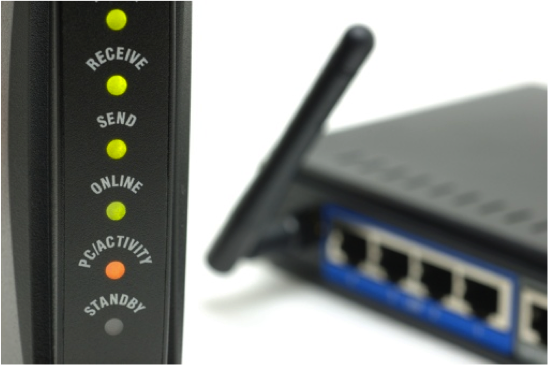 Your home network connection may soon be getting a lot faster, at least so far as the connection from your computer to your wireless router is concerned. South Korean electronics giant Samsung Electronics recently announced the development of its 60GHz Wi-Fi technology. It enables data transmission speeds of up to 4.6Gbps, or 575MB per second. The new Wi-Fi tech, also known as 802.11ad, promises to boost speeds five-fold over the current theoretical maximum speed of 866Mbps and nearly ten-fold over actual transmission speeds on 802.11ac. It does so by eliminating interference between all the different devices trying to connect on your Wi-Fi network. Samsung also credits improvements in antenna technology, which helps resolve line-of-sight issues – a big problem in larger, older homes without an open floor plan design. Before you get too excited about the technology, however, note that most ISPs won’t let you connect to the Internet at speeds anywhere near 4.6Gpbs. The average connection speed here in the U.S. is only about 11Mbps, and the fastest fiber optic connections top out around 1Gbps. Google is working on technology to bump Internet speeds up to 10Gbps, but it’s still a few years off from becoming reality. Still, being able to connect computers and devices on your own network at blazing fast speeds does have benefits. With an 802.11ad router (and having the tech built in to the Wi-Fi cards on your devices), you could wirelessly create local backups of entire computers in minutes, rather than hours.